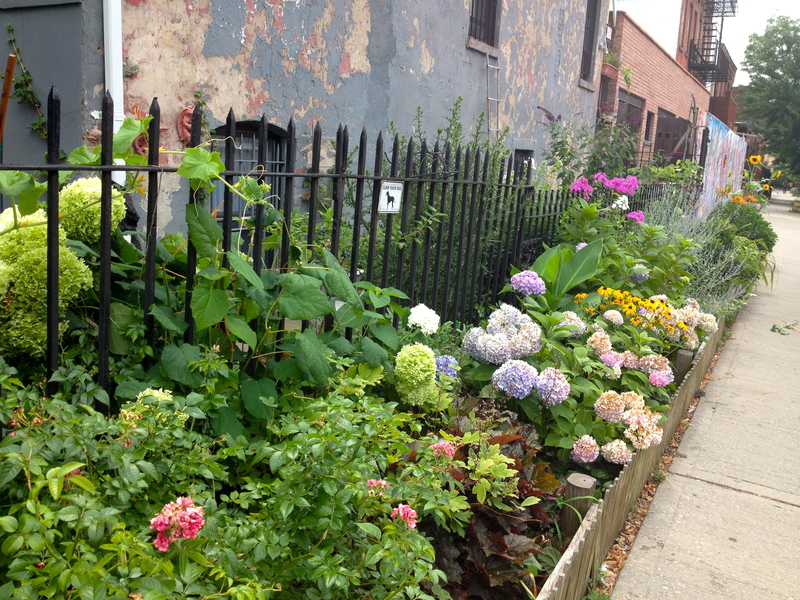 This Brooklyn sidewalk garden on the block next to ours is exactly how I want my wild country side yard to be. Juuust out of frame: an apple tree (I have that), and this awesome mural (I don’t have that). I found my new place. 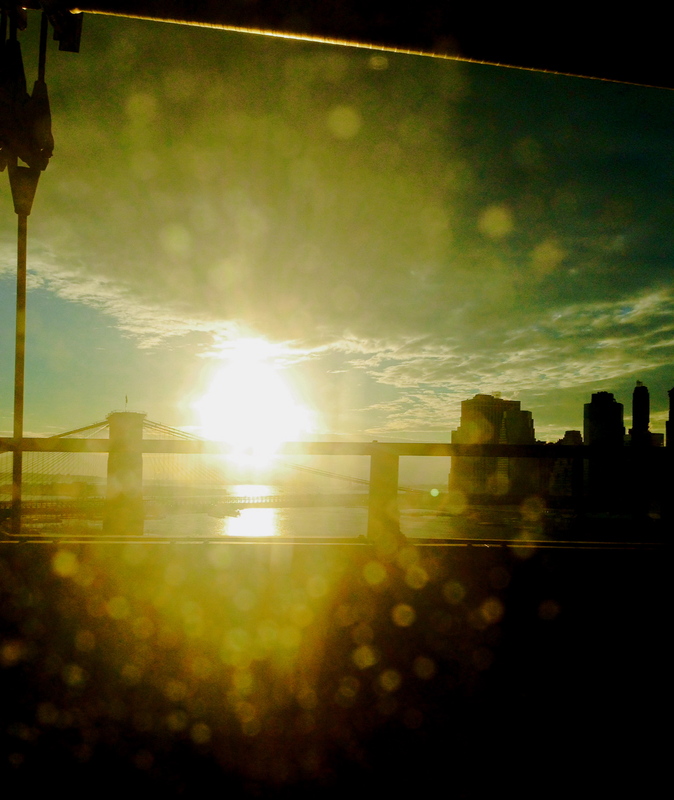 This happens about, oh, once in a New York Blue Moon. It hasn’t happened to me since 2006 when I found 7B covered in fake snow and possibility a block from my first-ever 6th floor walk-up. It goes like this: you stumble upon a place by some wild and karmic circumstance, you’re in your own neighborhood, maybe the bar you thought was your place inexplicably had a $5 cover and sheerly on principle you refuse to pay that and you happen down some stairs you’ve passed before in the strange new one-way-warren of Bed-Stuy, and behind a caged door is shangri-la with a Little Richard doorman and an exquisite jukebox immediately playing Jennifer Holliday and then Ray Charles and then Al Green and the lights are pink and there’s hardly anyone there and whoever’s been there has been there for years and you know there’s food but there’s no menu you just have to guess that they’d have fried whiting and chicken wings with bright red sauce and french fries and good cold beer. I didn’t take any pictures, out of respect for the Sasquatch-like-awesomeness of this place, but I found the one above, my new place, The Tip Top Bar. 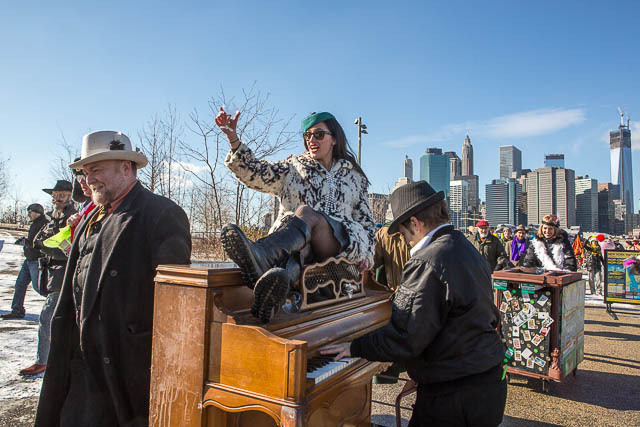 Yes, this is me riding on top of a moving piano welded to a shopping cart with lower Manhattan in the background. nbd. 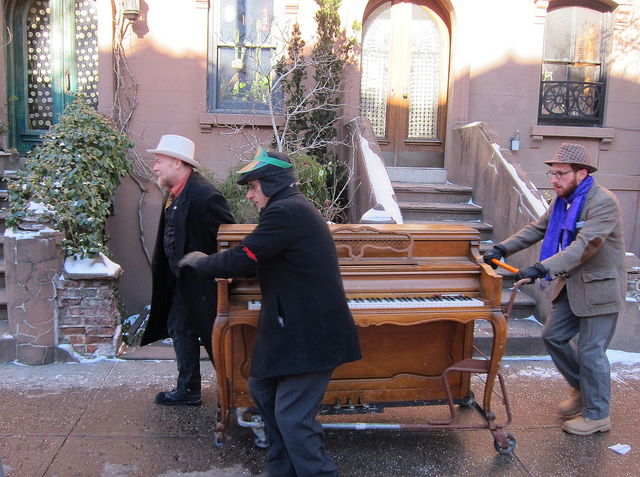 Let’s just say that this weekend marked the umpty-umpth anniversary of the Brooklyn Idiotarod. 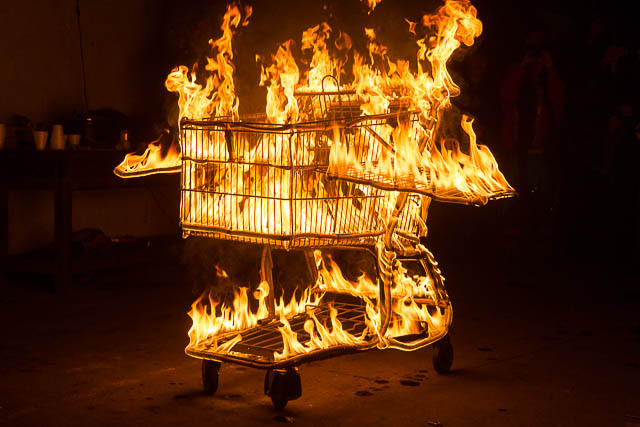 The Idiotarod is modeled on Alaska’s famous Iditarod sled dog race except that instead of sleek sleds and beautiful mush dogs, the Idiotarod features shopping carts and idiots. In short, teams of morons decide on a theme and build, weld, and decorate shopping carts (secured via various nefarious dealings of which I have no knowledge) according to that theme, and race from neighborhood to neighborhood, from checkpoint to checkpoint, competing in games of wit, battle raps, and feats of strength to learn the location of the next stop. Brilliant. 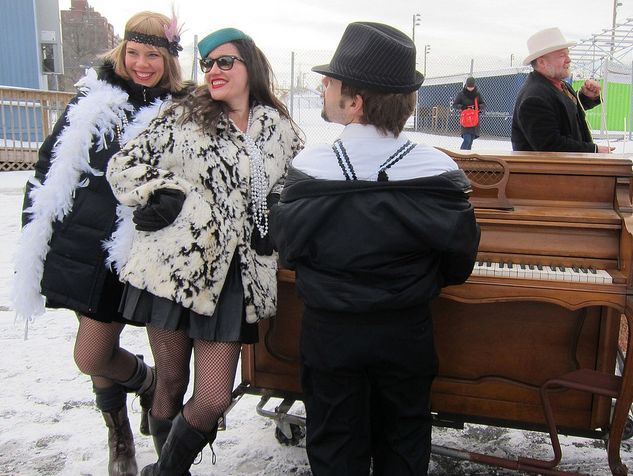 This year, we were a mobile speakeasy- replete with illegal gambling, a speakeasy bar with punches and teas that would surely give you the jake leg, and an ACTUAL PIANO for prohibition-era ivory tinkling. That’s right, a Piano. And, obviously, all on wheels. We battled snow and salt, the ample hills of Brooklyn and her painful BQE crossings, teams of Pac Men, Nuns with Bad Habits, Game of Thongs (feat. House Stark Naked), bubbies from behind the Iron Curtain, knights in armor, a circus menagerie, apocalyptic steampunkers (whose cart featured a working woodstove, wtf omg), and Charlie Sheen. 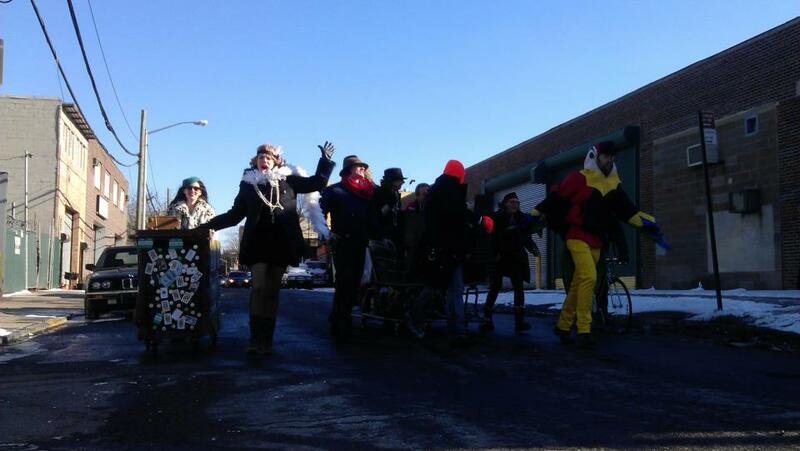 And, of course, the race finished at the Gowanus Ballroom with a drag show, a brass band, and a giant trebuchet called the cart-a-pult specifically designed to hurl the carts from the race against a wall. On fire. (more info on that here). Only in New York. 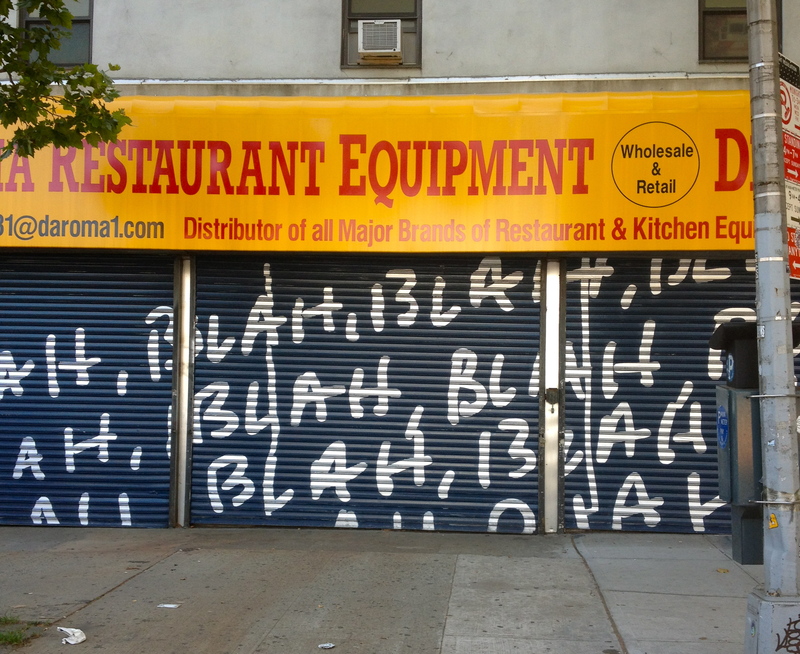 Bless you Brooklyn. And bless Rav and Stephen for coming up and really making it something special. Images from flickr (thank you), Gothamist for the first and flaming cart images, and Tony and Evan, fellow idiots and dear friends. Oh. And we made the news. Everyone knows about New York’s neighborhoods. You emerge out of the train in Sunset Park or SoHo or Chinatown or the Upper West Side or the very edge of the East Village and somehow even the air feels different. It’s something that is uniquely New York, a distinct feeling, palpable, from the architecture to the contents of the bodegas… But, there’s a funny thing about New York, which is that within the oft-discussed boundaries of each neighborhood, every single solitary New Yorker has built their own world. A constellation of grocers, wine stores, dive bars, pizza places, cheap chinese joints, laundromats, and coffee spots that is ever-shifting and truly personal, a perfect alchemy of your cross streets and your heartstrings. 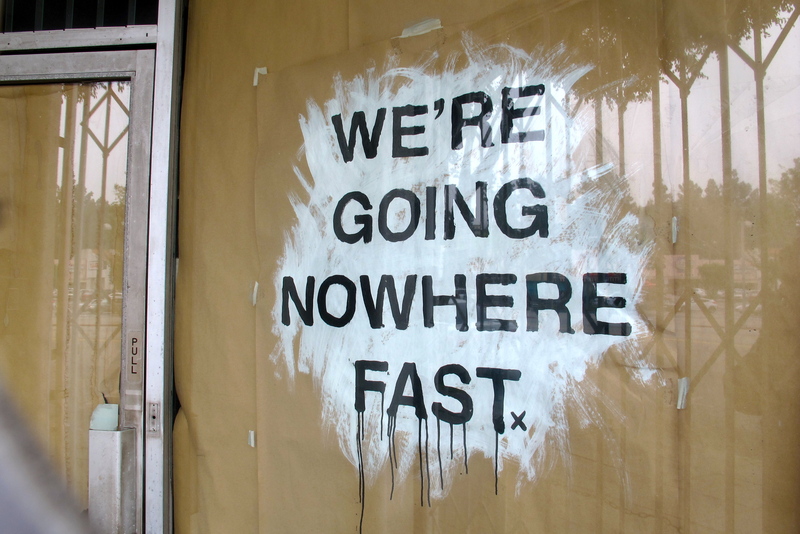 You are fiercely loyal to your go-to spots… until they’re a block or two out of the way. We moved a mere eight blocks from our old spot, hop-skipping due east, across TWO actual, proven neighborhood boundaries, right into Bedford-Stuyvesant. Eight blocks is not a lot, but with that slight geographical maneuver came a great shift. A brave new world. Just eight blocks up Fulton street is the difference between Provisions’ grass fed beef from local New York farms and a man loading a freshly skinned halal goat from the back of a truck into a shopping cart (I would like to eat both of those, please). I spent a few days just walking around, eating tiny warm pastries from the bakery up the block, falling in love with the strange pizza-making Frenchmen listening to Nina Simone AND the soccer on the tube both at top decibels, triangulating trains, testing the air, exploring… I’ve had a few excellent adventures already, and can’t wait to share them with you. Soon. Brooklyn map from Ork– we’ve had this hanging in our kitchen for years now, and I actually use it almost daily as a reference map.